H. 12247 - custom designed 'bud lawrence' home in desireable mcgregor blvd corridor. This home has a european flare with a mediterranean/coastal theme. Equisitly appointed throughout-truly a must see to fully appreciate home. Located on the riverside-in a beautiful family friendly neighborhood. Designed for an active family w/ 4 bedroom suites, a huge media/gameroom, home office & spacious 3 car garage. Classic courtyard w/ covered outdoor living area, pool, spa, fire pit area & basketball/play area. Large master retreat on 1st floor with jetted spa, walk-in shower, 2 walk-ins with custom cabinetry & motorized shutters. Great room features spacious kitchen,walk in pantry, formal dining, 12' ceilings, floor to ceiling glass windows. Built green-exterior walls icf (insulated poured concrete forms) for superior strength, noise reduction and superior energy efficiency to save you money! Whole home hepa air filtration sys. Custom finishes throughout, built-in miele coffee maker,powder bath with stone vessel sink, motorized phantom(insect)screens for the large covered patio, soaring 2-story entrance foyer. Located close to all top schools, the farmers market & a public park on the river. Be inspired by this modern dcor, open floor plan, at high point place. Nothing like it available now in downtown fort myers! Includes new upgrades galore for the discriminating buyer. Every detail carefully selected. Beautiful,white quartz counters with seating. Custom-made modern gray kitchen cabinets, thermador appliances, bosch range hood, built-in miele coffee system, and more make this a top-of-line kitchen. Sub-zero wine storage includes two storage zones for red & white wines. Sliding glass doors showcase amazing view of the caloosahatchee river from living/dining area. Brand-new, high-quality, hurricane shutters ready to be installed help create additional living space. Master bedroom has custom built wood bed with lighted headboard, built-in side dressers. Large windows provide a panoramic riverview. Ensuite bath includes free standing soaking tub, separate shower, double sinks. Beautiful, new, hardwood plank flooring throughout. Property offers 2 bedroom guest suites, new roof in progress, heated pool, 2 sundecks. Great neighborhood near it all! 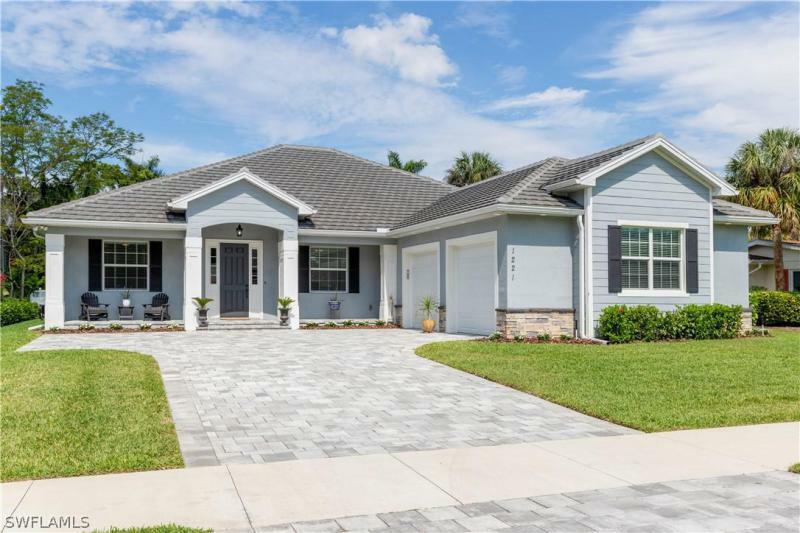 Walk to downtown, grocery, riverview restaurants, farmers market, edison-ford estates, and more. Marina next door. Rare one-of-a-kind finisher upper opportunity! 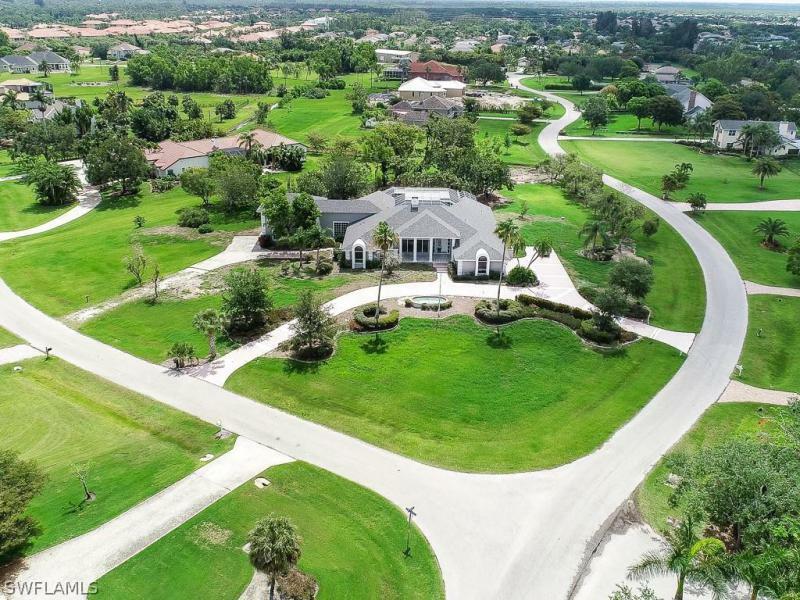 This impressive resort style arthur rutenburg home is situated prominently on a 2+ acre corner parcel in sought after rainbow farms. Ideally located just minutes from health park medical center, sanibel island and fort myers beach. The selective buyer will recognize the advantages of finding this diamond-in-the-rough. Bring your designer and make this home your own! Stunning custom-built 3/3 home, 3 years new located in twin palm estates, a quaint neighborhood on the riverside of the mcgregor corridor. This is the only neighborhood in fort myers wherein you can walk along the riverfront to enjoy amazing sunset views. Stunning craftsmanship includes 14 ft. Ceilings with wood beams, stone fireplace, stained reclaimed wood flooring. The seller spared no expense on upgrades and careful consideration towards details which will be appreciated by the most discriminating buyer including expansive white marble counter height island with white cast iron farmhouse sink, stone back splash, stainless steel appliances in the kitchen, bathrooms have granite, frameless glass showers, master has 2 walk-in closets with custom built-ins, free standing pedestal tub, extensive pantry/laundry room, 500-gal underground gas tank serves whole house generator, salt water pool and gas cooktop, storage by pool under ac, hurricane impact windows throughout, 8 ft doors, epoxy flooring in garage with ac storage and more! Dont miss the aerial views to get a better idea of proximity to the river. Unique and incredible, you could be the lucky one to call this home! 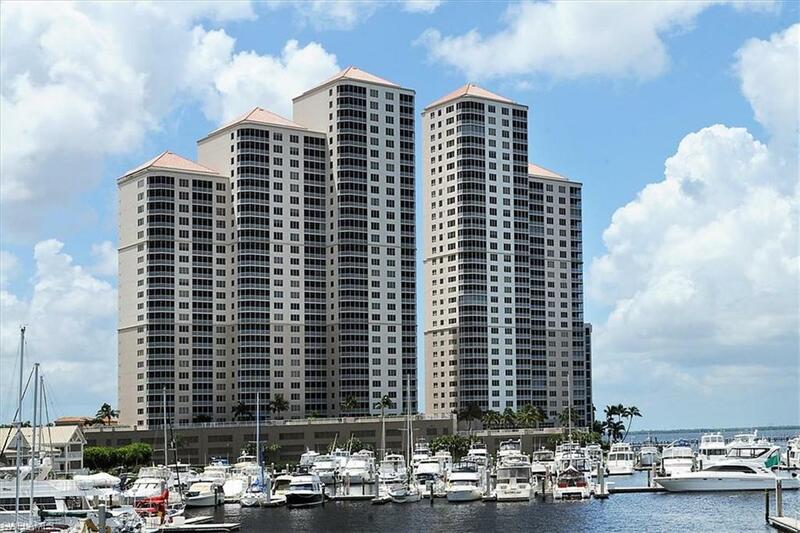 Coveted 30th floor corner unit with spectacular water views from every room in the house! This floor plan has the most windows of all hpp floor plans that has the full front river view and a great side view of the downtown life, lights and happenings while providing a bright, sunny living area. The chef-friendly kitchen features abundant granite counter space, wood cabinetry, tile back splash, stainless appliances and large pantry. Your master bedroom retreat has custom window treatments and crown moldings, walk-in closet closet and ensuite bath with dual vanities, jetted garden tub, and large shower. Loaded with special finishes: venetian plaster wall accents, sparkling lighting fixtures, custom designer draperies, chair rail and wainscoting throughout, creating an opulent living space. Guest quarters are separated from the living area visitors can relax and recharge after busy days in sunny florida. Downtown living offers dining, shopping, entertainment & festivals, and weekly farmers markets just steps away from home. If you are ready for your next adventure in living, downsize on stuff and upsize on quality of life! Welcome to your new luxurious lifestyle at high point place! Completely custom southern home! Your private road leads you to a dead end road with only 4 homes near by. Very private, quiet and feels like your own little oasis. As you pull down you long drive and park in front of your new home the outside elevation immediately takes your breath away! The first owner designed this dream home with the perfect farmhouse in mind. 5 bedrooms, 3. 5 baths, 6. 40 acres, all located in the desirable area of buckingham. Large windows, large doors, high ceilings. This home does not lack space! Real wood floors throughout all the common areas. Formal dining room. Wood burning fireplace covered in stack stone. Master bedroom is downstairs. Whole house reverse osmosis system. Whole house generator, the property is covered in mature oak tress that will be sure to take your breath away. Don't miss the opportunity to own this home! Welcome home to this beautiful, newly renovated home located in the desirable mcgregor riverside neighborhood. Home features 3 bedrooms, plus den, 2 bathrooms, and an extended two car garage. The exterior has been recently painted, has accents of silver travertine stone, and a new roof in 2018. The inviting front porch leads way into the formal living room with views of the pool and large back yard. This home features anatolian 24x24 marble floors, built-ins in family room and den, silver travertine fireplace, a wine/coffee bar, and an alarm system. Den is prewired for surround sound, perfect for home theater. Chefs delight kitchen has custom pot rack, large walk-in pantry, induction cooktop, glass back splash, new granite, and large island with farmhouse sink. Master bath has separate vanities, large shower with frameless glass door and multiple shower heads. The lanai is perfect for entertaining your guests with custom summer kitchen and stone wall prewired with cable and electric for tv. The large back yard is fenced with paver patio and pergola. The sprinkler system is supplied by a private well. Set an appointment to view this truly gorgeous home. Motivated seller come see today! This home is what youve been waiting for! Where country living is just around the corner from everything you need in the city! 1. 25 acres, 4 br, 3 baths, pool, screened lanai, oversized workshop with studio apartment and 1/1 in-law suite for rental potential! Roof less than 5 years old! Improvements in last 3 years include renovated laundry room, 6 ton 16 seer ac, porcelain wood plank tile upstairs, newer refrigerator, oven & microwave, guest bath shower enclosure, tree house, water filtration systems for well, pool pump and much more! No flood insurance required! Unique property ready for move inmake it yours! Located near i-75, miracle stadium, southern fresh farms, the daniels shopping center and the new whole foods market. Just a short drive to our beautiful beaches. Be sure to watch the virtual tour! Gorgeous 23rd floor condo in the 10th tower of high point place with unobstructed views of the riverfront and city! Morning sunrises are spectacular in the front of the condo with beautiful sunsets from the back lanai. Only towers 1 and 10 have an unobstructed view in two directions. Tower 10 is much cooler in the afternoon. 10 foot ceilings, generous crown molding, diagonal porcelain tile in high traffic area, carpet in the bedrooms. Professionally decorated, many upgrades. Secure elevator that leads to your own private lobby. Parking space & storage lockers couldn't be closer. This condo has had very light use since 2014, then basically unused before then. Amenities include high security, community room, private meeting rooms, exercise facility, outdoor bbq grills, heated pool/spa & more, all overlooking the river. Grocery, pharmacy, bennett's coffee shop & other restaurants just a block away. Downtown fort myers only a 5-minute walk, where you will enjoy shopping, restaurants, art galleries, parks & theater; plus the farmers market every thursday. Enjoy the downtown lifestyle in a stunning condo. This unit has so much to offer, you must put it on your must see list.